As I’ve been writing this blog, I’ve mentioned the always-evolving production crew of Doctor Who as I go, but I’ve left a small hole with season nineteen because the script editor’s job was strangely in flux that year. 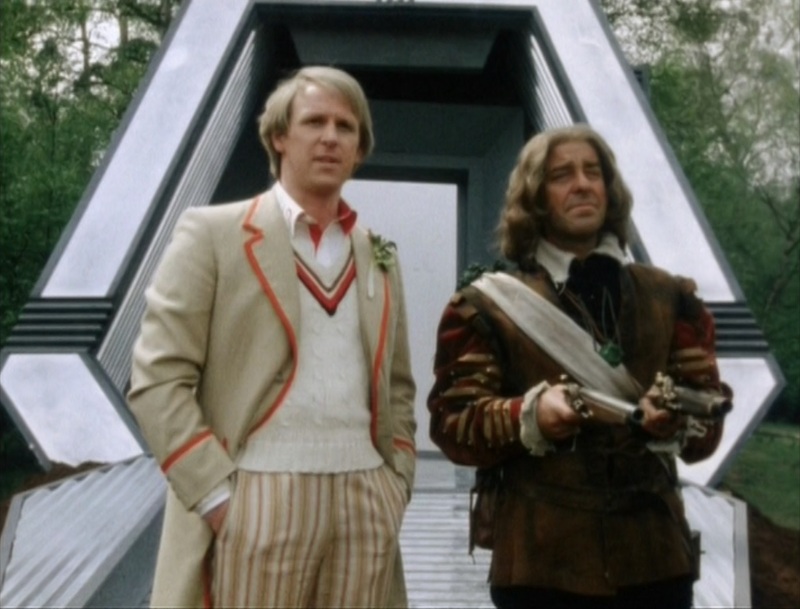 About half of the stories were edited by Antony Root, and the other half by Eric Saward, who would keep the job for the next four years, but since they were made way out of transmission order, I wasn’t sure where to mention it. “The Visitation” is the first of Saward’s scripts for the program, and I think he gets the balance of the character interplay just perfect in this one. He seems to lose interest in the lead characters after this story, preferring instead to use them as foils for the guests. This story, for example, is almost every bit as much about a gravel-voiced highwayman, played by Michael Robbins, the longtime star of On the Buses, as it is about the Doctor and his friends. Later Saward stories would be much more about the guests. I had meant to give our son a teeny history lesson before we got started tonight, but I forgot. The story will memorably end with a cute revelation about the Great Fire of London in 1666. This, I figured, would be completely lost on our son, because the second grade curriculum in the United States doesn’t actually mention it. So we talked about the rats that the mysterious and scarred alien creature has been keeping in these Plague-fearing times, and then I mentioned that the really big world event that year was the fire, which destroyed thousands of homes. He told me that he knew all about it. Apparently, it’s revealed in one of his Beano Books that not only did Beryl the Peril start the fire, but she also ate five pies while starting it. Well, did she, now!